"Wine Spectator" has rated the wine "Falesco Pesano Merlot Umbria IGT, Italy" from the vintage 2005 on 31.07.2007 with 84 of 100 points. "Wine Enthusiast" has rated the wine "Falesco Pesano Merlot Umbria IGT, Italy" from the vintage 2005 on 04.01.2007 with 90 of 100 points. "Wine Spectator" has rated the wine "Falesco Pesano Merlot Umbria IGT, Italy" from the vintage 2004 on 15.05.2006 with 88 of 100 points. "Wine Spectator" has rated the wine "Falesco Pesano Merlot Umbria IGT, Italy" from the vintage 2003 on 15.12.2004 with 86 of 100 points. "CellarTracker" has rated the wine "Falesco Pesano Merlot Umbria IGT, Italy" from the vintage 2003 with 88 of 100 points. 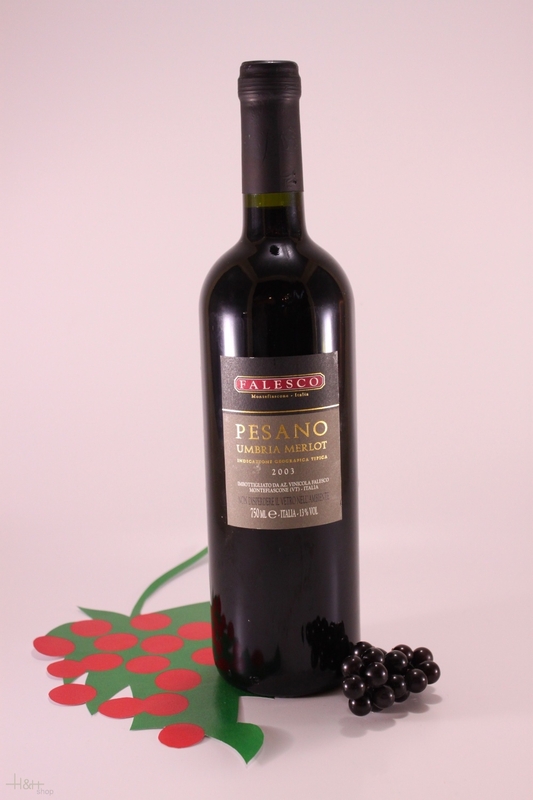 "CellarTracker" has rated the wine "Falesco Pesano Merlot Umbria IGT, Italy" from the vintage 1998 with 87 of 100 points. 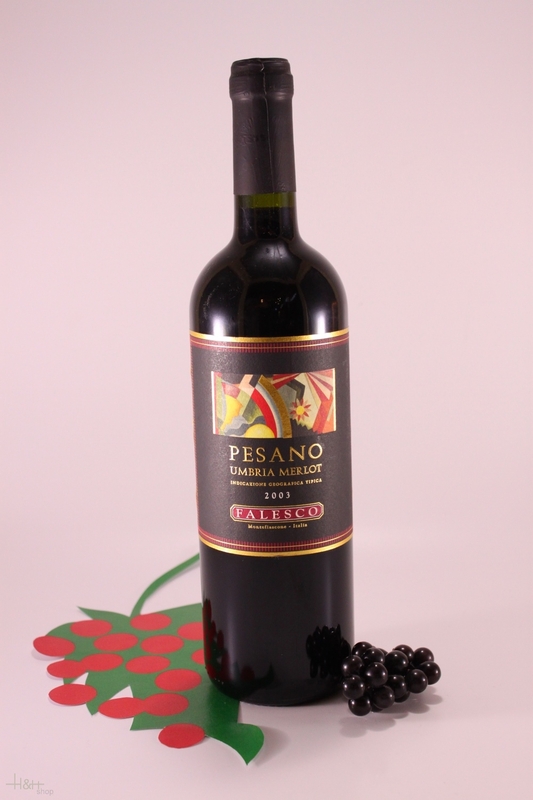 "CellarTracker" has rated the wine "Falesco Pesano Merlot Umbria IGT, Italy" from the vintage 2009 with 87 of 100 points. "CellarTracker" has rated the wine "Falesco Pesano Merlot Umbria IGT, Italy" from the vintage 1999 with 86 of 100 points. "CellarTracker" has rated the wine "Falesco Pesano Merlot Umbria IGT, Italy" from the vintage 2001 with 86 of 100 points. "CellarTracker" has rated the wine "Falesco Pesano Merlot Umbria IGT, Italy" from the vintage 2010 with 86 of 100 points. "CellarTracker" has rated the wine "Falesco Pesano Merlot Umbria IGT, Italy" from the vintage 2005 with 85 of 100 points. "CellarTracker" has rated the wine "Falesco Pesano Merlot Umbria IGT, Italy" from the vintage 2007 with 85 of 100 points. "CellarTracker" has rated the wine "Falesco Pesano Merlot Umbria IGT, Italy" from the vintage 2000 with 85 of 100 points. "CellarTracker" has rated the wine "Falesco Pesano Merlot Umbria IGT, Italy" from the vintage 2004 with 85 of 100 points. "CellarTracker" has rated the wine "Falesco Pesano Merlot Umbria IGT, Italy" from the vintage 2006 with 84 of 100 points. "CellarTracker" has rated the wine "Falesco Pesano Merlot Umbria IGT, Italy" from the vintage 2008 with 82 of 100 points.